Dr. James Maney and his wife Sallie Hardy Murfree began their plantation with the construction of a modest two-room cabin, circa 1818. By 1860, their home had been drastically enlarged and was the center of a nearly 1,500-acre plantation, and one of the most elegant mansions in Tennessee. After the Maneys sold Oaklands in 1884, it passed through a succession of owners. When the last resident left in 1954, the mansion sat vacant and vandalized for five years before being scheduled for demolition. Fortunately, a group of concerned local women mobilized to save the mansion and formed Oaklands Association, a non-profit educational organization, in 1959. The mansion was opened to the public within a year. Step into the past as you experience civilian demonstrations on the grounds from the 19th Alabama Civilian Civil War Reenactors. Demonstrations will take place from 10:00 a.m. until 4:00 p.m. at the historic site, located at 901 North Maney Avenue in Murfreesboro. They tell the story of what civilians traveling with occupation forces would have been doing in and around our town during the Civil War. In Maney Hall, the Tennessee State Button Society will display their collections of vintage buttons of all varieties. Guests are invited to experience period games on the lawn, children’s dress-up, nature walks to the spring, visit the heritage vegetable garden and tour the mansion for FREE. While enjoying the activities through-out the day, grab a bite to eat from That’s My Dawg food truck. 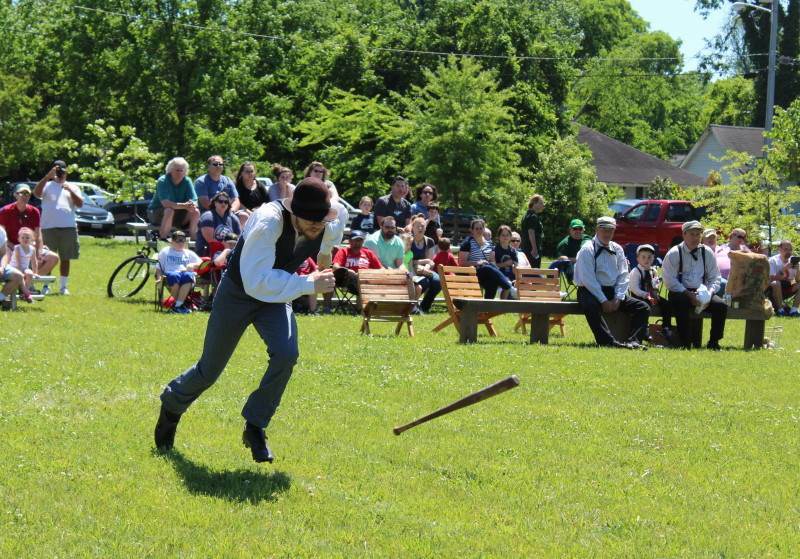 At 2:00 p.m., make your way over to the field along Highland Avenue for a vintage baseball exhibition provided by members of the Tennessee Association of Vintage Baseball. “This is a great opportunity for all of our residents and visitors to discover Oaklands,” says Oaklands executive director, James Manning. Oaklands Mansion will be open for FREE. The civilian demonstrations on the lawn are free and open to the public. Parking for the event is located on Roberts Street with event entrance at the pavilion. On May 12, 2018, be our guest and enjoy Oaklands Mansion for FREE. For more information visit www.OaklandsMansion.org, find Oaklands Mansion on Facebook, Twitter and Instagram.